The professor of University of Washington John Kramer recreated the fluctuation of substance on the basis of the relic microwave radiation in the early Universe and turned them into sounds. As basic data Kramer used results of measurement of the microwave radiation, received recently from the Planck telescope. They reflect temperature fluctuations in the Big Bang, which can be a print of fluctuation of substance. By the words of physicist the initial waves were not variations of temperatures, but the real echo waves, which extended on the Universe. The scientist transformed data of microwave radiation by the Mathematic program to fluctuations. That echoes became available to the human ear, the received fluctuations should be accelerated very strongly – in 1026 of times. On records gradual strengthening of low tones is audible. According to Kramer, it reflects expansion of the Universe stretching waves of fluctuations. Results of work of the physicist reflect fluctuations, which happened in the Big Bang when its age made from only 380 to 760 thousand years. Now this age makes 13,4 billion years. Earlier Kramer already carried out a similar reconstruction of echo of the Big Bang on much less detailed information obtained during experiment of WMAP. Planck’s information, which possess much bigger permission, allow to catch much more high frequencies. The microwave radiation is one of the main opening of modern cosmology. 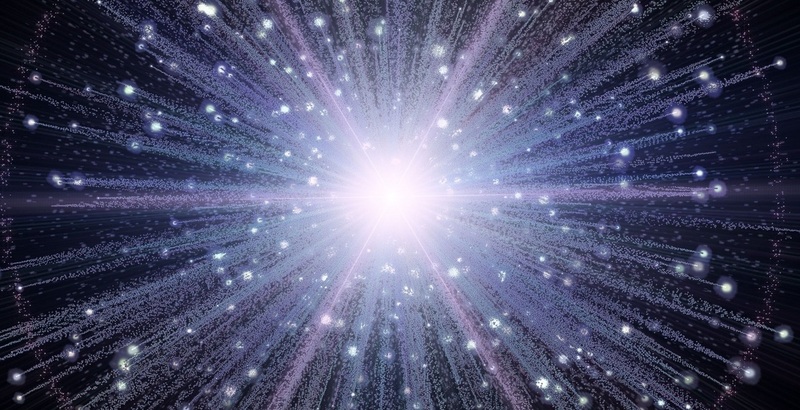 Along with red shift it is one of the most important proofs of the Big Bang. The structure of relic radiation allows to glance in the Universe before the first lit of stars in it.